in Britain, the USA or Brazil! A little history. 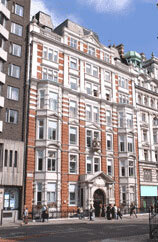 The first language school St. Giles International was opened in London in 1955 by a couple Paul and Diana Lindsay. Paul taught, and his wife worked in the reception, accepted and registered students who wanted to learn English. Paul Lindsey gave such quality English lessons that his reputation of high learning outcomes quickly spread. The company started to develop rapidly. St. Giles colleges were opened in many cities in England, Scotland, then representatives appeared in the USA, Canada, and Brazil. Today St. Giles International is a great language company with an advanced network of colleges and linguistic camps. 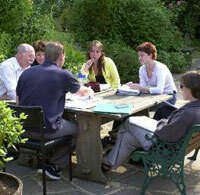 It provides quality English teaching for adults, corporate clients, students and schoolchildren. Moreover St. Giles International is the international centre of English teachers training and is authorized to award the Cambridge University’s certificate. The business which was started by his parents, Mark Lindsey successfully continues today. 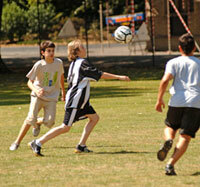 There are seven permanent centers and five summer schools in Britain, the USA, Canada, Brazil. All St. Giles International colleges are accredited by British Council under the UK Government and they are members of the association of English UK language schools. Teacher training programs in Brighton, London (Highgate) and in San Francisco are confirmed by UCLES, and language courses in Central London are recognized by Trinity College London. Besides general training programs which are oriented to students with different levels of language proficiency, St. Giles school offers special winter and summer courses in many cities of Britain. The five largest colleges in St. Giles International are: London Central, which is located in the centre of the English capital; London Highgate, which is beautifully situated in London Park; Eastborne and Brighton that are located on well-known seaside resorts in the south of England; and a college in San Francisco, USA. 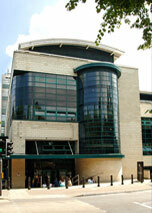 The Training Centre in Brighton is the largest language school in the city. It’s located in several buildings near the Royal Pavilion and the embankment. The language centre in Eastborne is situated in the building located 100 meters from the city’s beaches. There it has its own outdoor heated swimming pool surrounded by a beautiful garden. Well-qualified English teachers who focus on every student have the opportunity to work in any St. Giles centers. St. Giles is not only an educational institute where students learn English, but a meeting place for students around the world. The company is known for its diverse cultural program. Interesting activities are organized every week and you can join them: enjoy an exhibition or a play; go to a pub or stadium; or dance at a disco, club or concert. An exciting excursion program waits everyone on weekends. Year-round with arrival every 2 weeks (in July – every week). For schoolchildren aged 8-18 years St. Giles International offers SUMMER CAMPS throughout England and the USA where a well-organized recreation, extensive cultural and excursion program combines with different English language trainings, and allow children to improve their English and meet many friends from around the world. One of the St. Giles International summer camps’ best features is that they are conducted on the campuses of the most renowned universities and colleges in England and America. This provides participants a unique opportunity to feel an unforgettable atmosphere of the best academic institution in the world. with professionals from St Giles! in the St Giles Summer Language Camp! The Canterbury Royal School is situated on the territory of Canterbury Cathedral and St. Augustine Abbey in the centre of the medieval town of Canterbury. The school’s history goes back centuries. Careful staff will be with children for 24 hours a day. 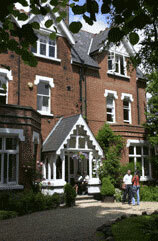 Living in the residence in comfortable rooms for 1 or 2 people. Quality meal 3 times a day which includes healthy and varied cuisine with respect to dietary characteristics of your child. There is a wide range of English, American, Canadian, European and other dishes. It’s necessary to apply for participation in the Central office of FLC REWARD at: Gagarin Street, 16 before April 20.